with our product, we not only create a connection between ambient advertising and on-line marketing, but we also meet the needs of different generations. With its affiliated companies and a turnover of over one billion Euro, the Association of German Information and Directory Media (VDAV) is a hidden champion. But it’s also very well known thanks to publications such as the Yellow Pages. Generation Google is also a welcome target group for CAR2AD. As we were already able to deduce in the GRÜNDERSZENE interview with Jana, it is almost impossible, for start-ups and small businesses especially, to advertise themselves in public spaces. It is quite simply far too expensive. For other start-ups, we are able to offer the opportunity of drawing attention to themselves directly at the entrance to events, pitches and other meetings from just €99. Because nothing is more important than direct personal contact when it comes to potential business partners and investors. Full of anticipation, this we week we landed on Paris, specifically with the PSA Group (Peugeot, Citroën), this being the location of our pitch deck. This globally active vehicle manufacturer ranks third in terms of world-wide vehicle sales and, in Berlin, it operates Multicity Carsharing. The management of Multicity has expressed a strong interest in CAR2AD and passed us directly on to the Board of Directors in Paris. 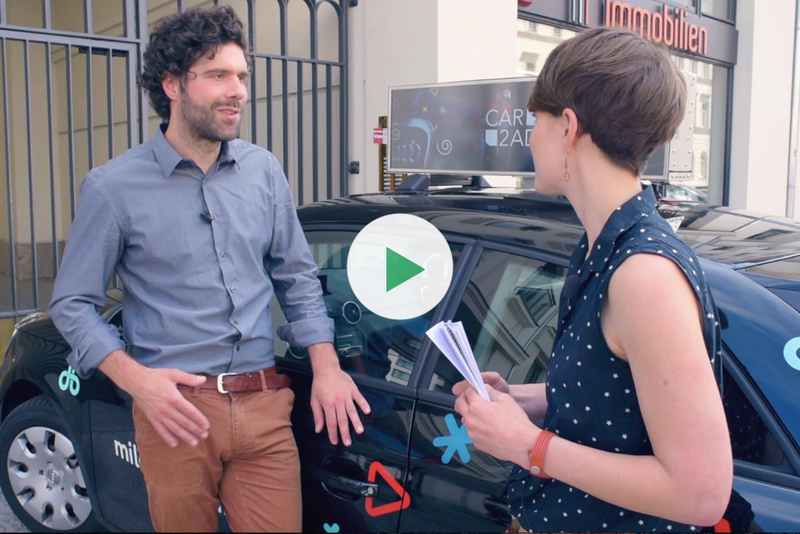 Following a very intensive introductory meeting, it quickly became clear for both sides how well CAR2AD fits into the car-sharing provider’s current strategy. We will of course keep you up-to-date with regards to any further steps we take together. We hope that we have been able to offer you a further quick insight into our activities this week. Also, we look forward to a continued and successful collaboration and would like to take this opportunity to once again offer thanks to our many diligent supporters, ideas people and lateral thinkers on Companisto.